You’ve probably heard of CBD, or cannabidiol, by now – it’s a non-psychotropic compound found in cannabis, and more & more people are seeking it for its potential health benefits, such as the easing of inflammation, pain relief, and reduced anxiety. * The Little Traveler has introduced select CBD products to our Bath Shop and Gourmet Rooms. CBD (or cannabidiol) doesn’t make you high. It's one of more than 60 recognized cannabis compounds that have been used medicinally for centuries. Recent breeders have figured out how to isolate cannabidiol from its psychoactive partners. Every person will react to CBD in a different way. It may be more effective for certain conditions in different people. Reported (but not tested) positive outcomes from cannabidiol usage include: pain relief, reduction in anxiety, and reduction of inflammation. 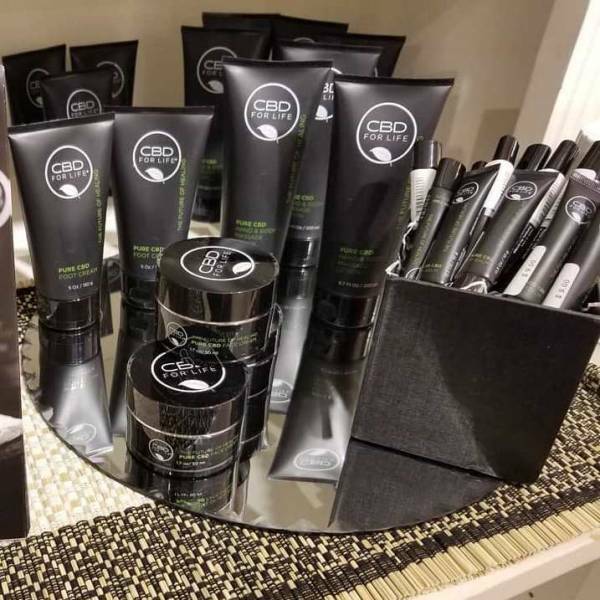 With so many CBD products hitting the market, quality is the key, so we've been selective with the brands and products we're bringing to the store. Buddha Teas’ innovative process ensures that the CBD they claim to include in their teabags actually ends up in your tea. 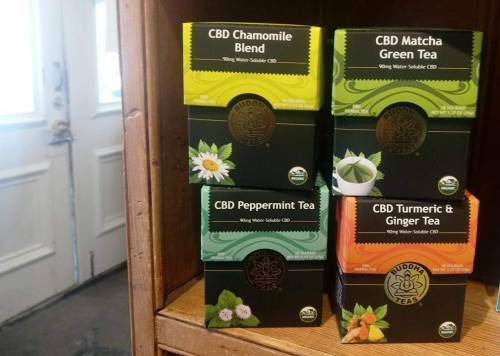 Using nanosized particles of water-soluble (bioavailable) cannabidiol, Buddha Teas has combined the compound with its 4 best-selling teas to boost their healing potential. Find them in our Gourmet Rooms. Consult with a physician before using CBD products, particularly if you use other medications or have a serious health issue. Do not use these products if you are pregnant or nursing. 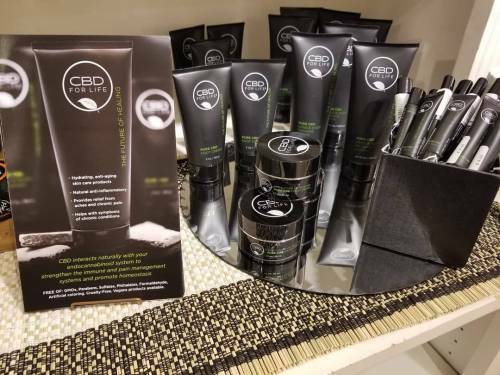 CBD for Life uses 99% pure cannabidiol extract derived from stems and stalks of industrial hemp sourced from an FDA approved farm in Colorado and combines it with nourishing essential oils to produce natural pain management & beauty products. The owners have a background in medical cannabis, where compliance is key. Our collection of body products includes roll-on oil, pain relief spray, tincture, mouth spray, lip balm, rub, foot cream, massage lotion, face cream, bath bombs, shampoo and conditioner. Body patches from The Good Patch combine 15 mg of premium hemp extract with other active ingredients that can help with life's most common ailments. These clear, discreet transdermal patches deliver sustained relief for up to 12 hours. Place on any venous area of the skin to maximize effects. Nite Nite Patch - includes melatonine to encourage a good night's sleep. 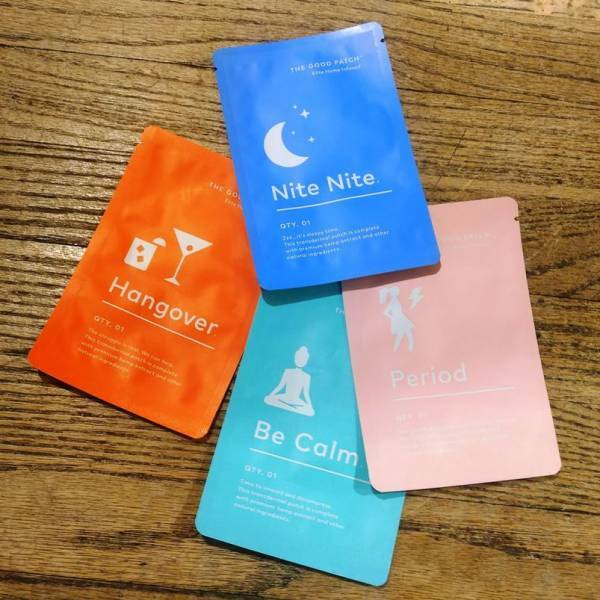 Hangover Patch - includes B1, B Complex & green tea extract to help replenish. Be Calm Patch - includes menthol to encourage calmness. Period Patch - includes black cohosh and menthol to help ease discomfort. Edibles by Green Roads are pharmacist formulated and lab tested to ensure what's on the label is what's in the product. They use extract from certified organic hemp with a process that results in 99% pure cannabidiol. Find them in our Gourmet Rooms. The Little Traveler aims to have one of the most creative and comprehensive collections of quality CBD products around. Stop in our Gourmet Rooms and Bath Shop to see what else has been added—like popcorn. We'll also update our Pinterest board with new arrivals. 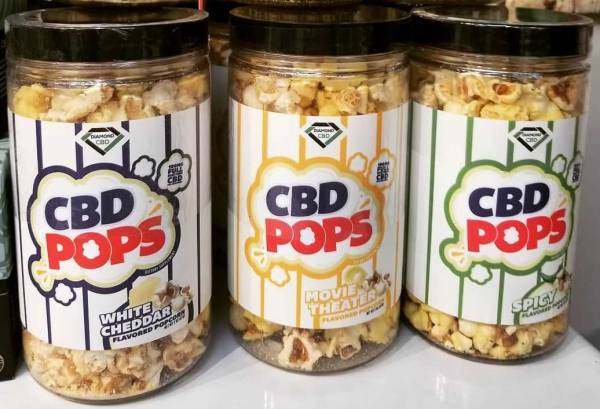 A low-calorie popcorn snack packed with 100 mg of pure, organic, full-spectrum CBD. Consult your physician before using CBD products, especially if you're on other medications. Must be 18+ years or older to consume. Do not use if pregnant or nursing. 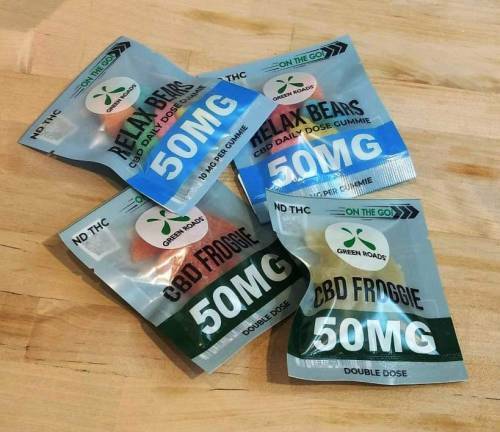 * CBD products sold at The Little Traveler have not been evaluated by the Food and Drug Administration. These products are not intended to diagnose, treat, cure, or prevent any disease. Individual results will vary. These products should be used only as directed on the label.